After a robbery aided by a rigged timepiece, Batman and Robin deduce the Clock King must be in Gotham City. Disguised as a pop art expert, the villain brings his latest masterpiece to the Parkhurst Gallery. 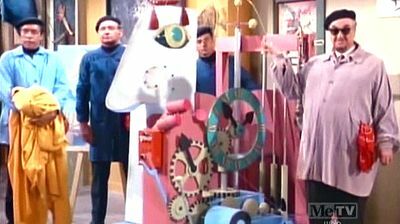 But everyone is surprised when the sculpture turns out to be more than just a piece of art, and the Clock King makes off with a valuable time-related painting. Batman and Robin follow a clue to the villain's hideout, unaware that a trap awaits them.